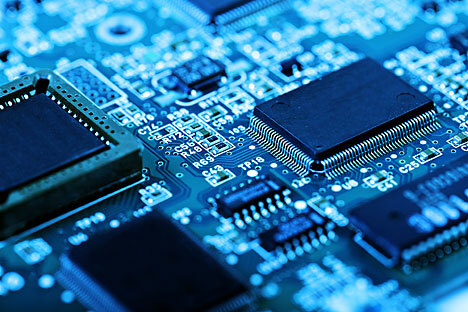 Russian private microchip manufacturer MCST launched the production of eight-core microprocessors, which, the manufacturers hope, will win a significant share in the domestic market. Intel representatives do not yet see any threats to its operations in Russia either. "We are an American company and, of course, comply with the U.S. authorities' decisions. However, judging by the information about the sanctions that is in the public domain at present, Intel will not have to adjust its operations in Russia in any way," Intel's regional director for the CIS Dmitry Konash has told RIR. "We do not supply anything directly to the companies on the sanctions list or controlled by individuals who are on the sanctions list. We have a number of clients in Russia who we work with directly, on technology consulting projects."